Attorney-General George Brandis​ has talked down possible legal challenges to decisions made by the now former deputy prime minister Barnaby Joyce following Friday's High Court decision that saw five members of Parliament thrown out because they held dual citizenship. Senator Brandis said the Turnbull government accepted the High Court's decision and described its interpretation of the constitution as "brutal". "We were asking the High Court to look at the section in view of its purpose and history. 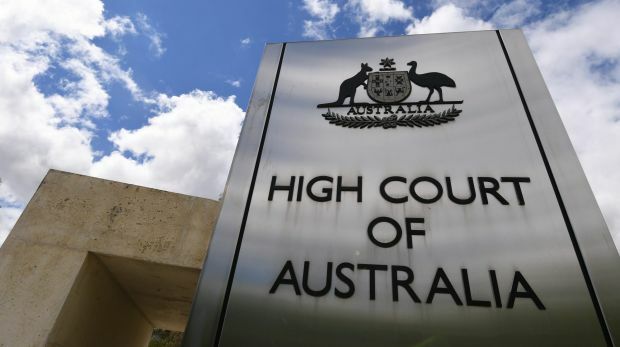 The High Court instead took the view that the section should be read with a very strict, almost brutal literalism," Senator Brandis told Sky News on Sunday morning. The court's decision - which also knocked out Fiona Nash, Malcolm Roberts, Larissa Waters and Scott Ludlam - has set the stage for Labor to exploit the weakened position in which the Turnbull government now finds itself. It is likely to run rampant on the floor of Parliament and try to reverse cuts to penalty rates and establish a banking royal commission when the House of Representatives returns on November 27. Labor is also suggesting decisions made by Barnaby Joyce - who remained a minister and member of cabinet after he was referred to the High Court - could now be open to legal challenge. The manager of opposition business, Tony Burke, said "there will be vested interests who might do that". "If you're in charge of Australia's quarantine service, there's importers or exporters who make or lose money depending on decisions you make," Mr Burke told the ABC on Sunday. 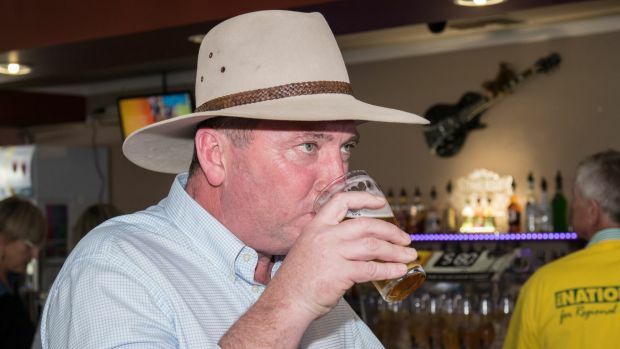 "There'll be a series of decisions there with vested interests, now combing through, and there being a whole lot of legal doubt over those decisions on the simple basis that Barnaby Joyce didn't do what Matt Canavan did. "Matt Canavan turned out to have been legally in Parliament. But he at least took the precaution to step aside so that there was no risk to there being illegitimacy to his decisions." National Party senator Canavan was one of the seven MPs referred to the High Court due to confusion about his Italian citizenship status. He resigned as resources minister after making the discovery but the High Court on Friday cleared him and he was almost immediately sworn back into cabinet as Minister for Resources and Northern Australia. Mr Joyce and Fiona Nash both refused to step aside from their ministerial positions. 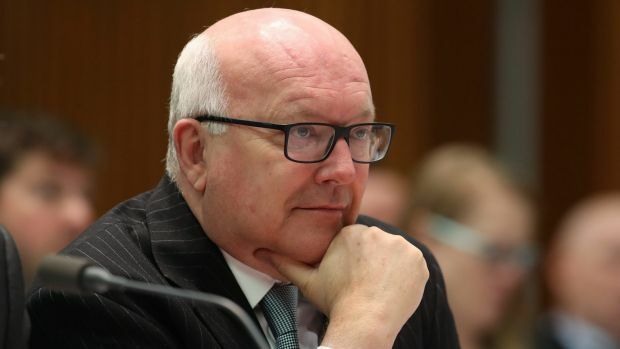 Senator Brandis denied their decisions could be challenged, although he conceded the government was "having a close look at that right at the moment". The government now has 74 seats on the floor of the house, while Labor and the crossbench will have 74 seats as well - meaning the government may have to rely on Speaker Tony Smith for his casting vote. It risks losing motions or being defeated on legislation if there is a single defector on an issue. Crossbench MP Cathy McGowan has indicated she will continue to back the government on matters of confidence and supply. Senator Brandis said Labor was "ignoring the iron laws of arithmetic" by claiming the government had lost its one-seat majority. Mr Burke said the Speaker is "not a vote on the floor". "The moment the government decided they wanted one of their own to be Speaker, their numbers on the floor of the house went to 74." A byelection in My Joyce's northern NSW seat of New England will be held on December 2.